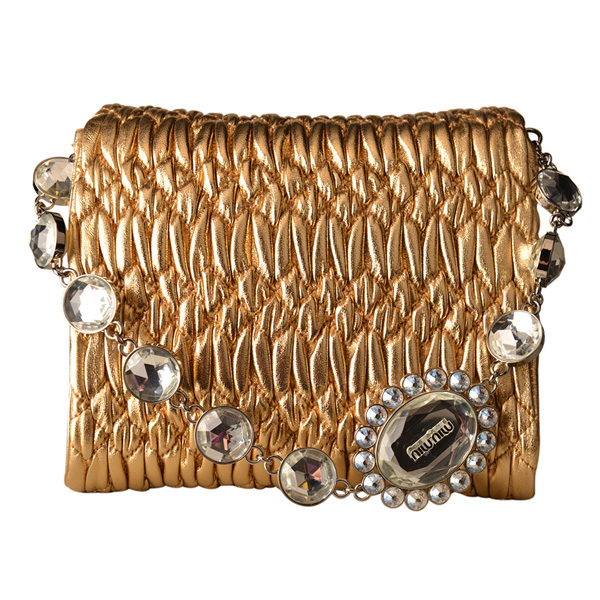 Miu Miu gold crossbody bag, $1,150, Balliets. 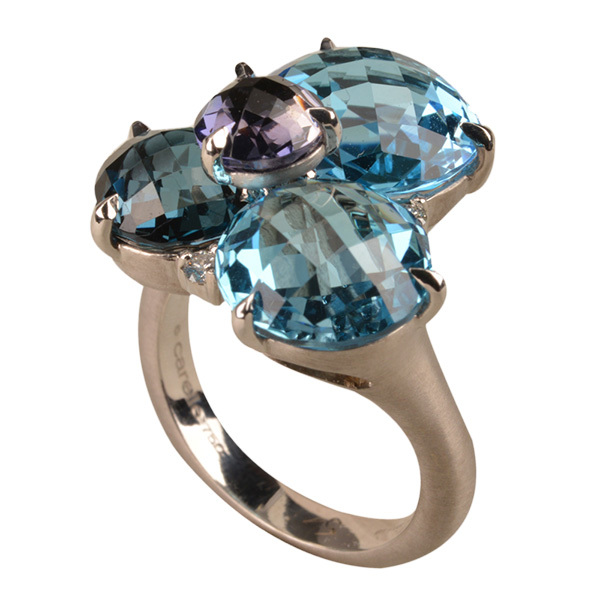 Carelle 18-karat white gold blue topaz and iolite cluster ring, $3,300, Saks Fifth Avenue. 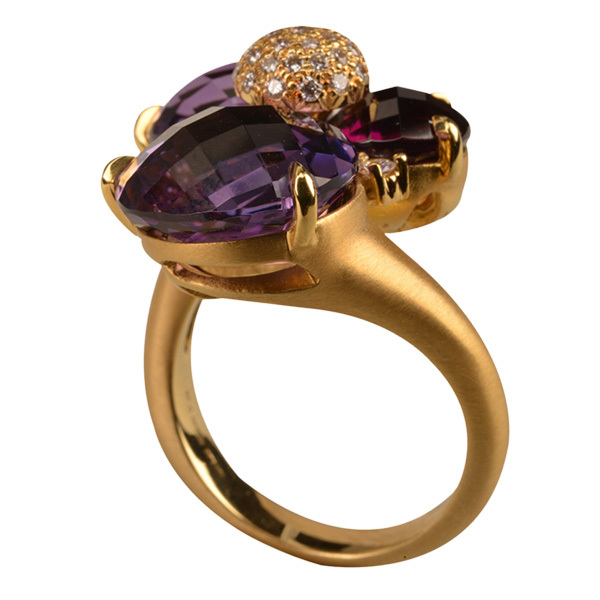 Carelle 18-karat yellow gold amethyst and diamond cluster ring, $4,365, Saks Fifth Avenue. 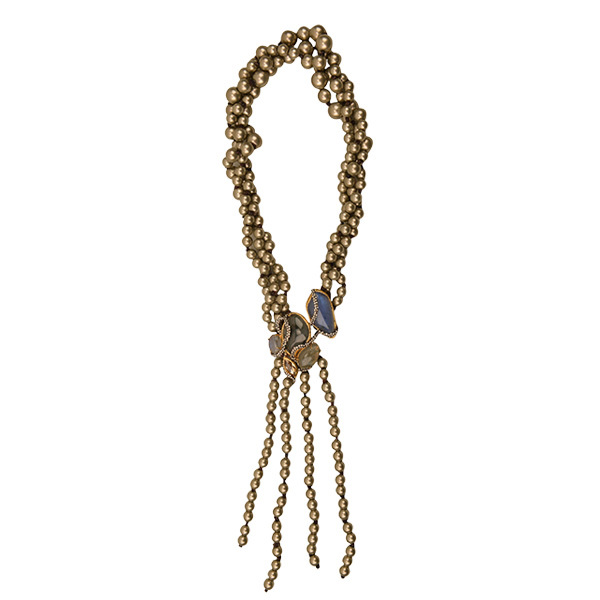 Bailey 44 navy faux leather bustier tank, $169, Saks Fifth Avenue. 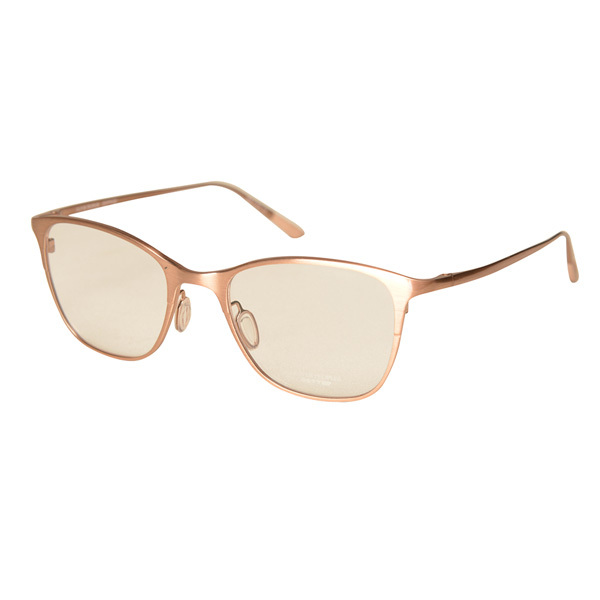 Oliver Peoples rose gold frames, $389, Visions Unique Eyewear. 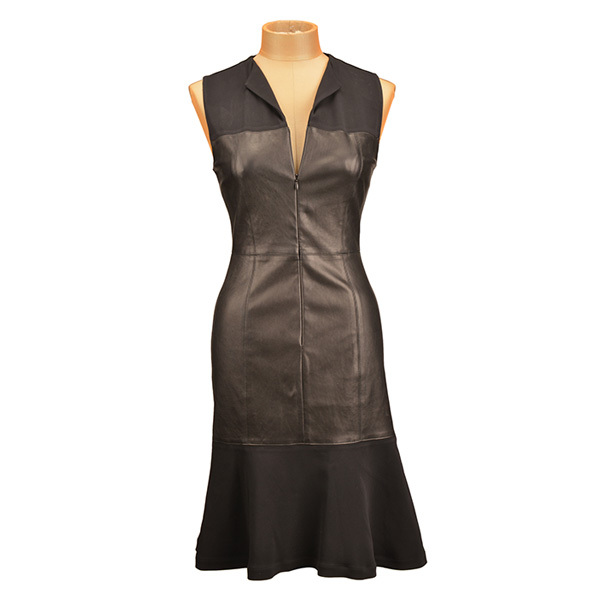 ALC black leather dress, $1,040, Abersons. Manolo Blahnik embellished lace pumps, $1,025, Saks Fifth Avenue. Frank Lyman beaded animal print dress, $233, Donna’s Fashions.